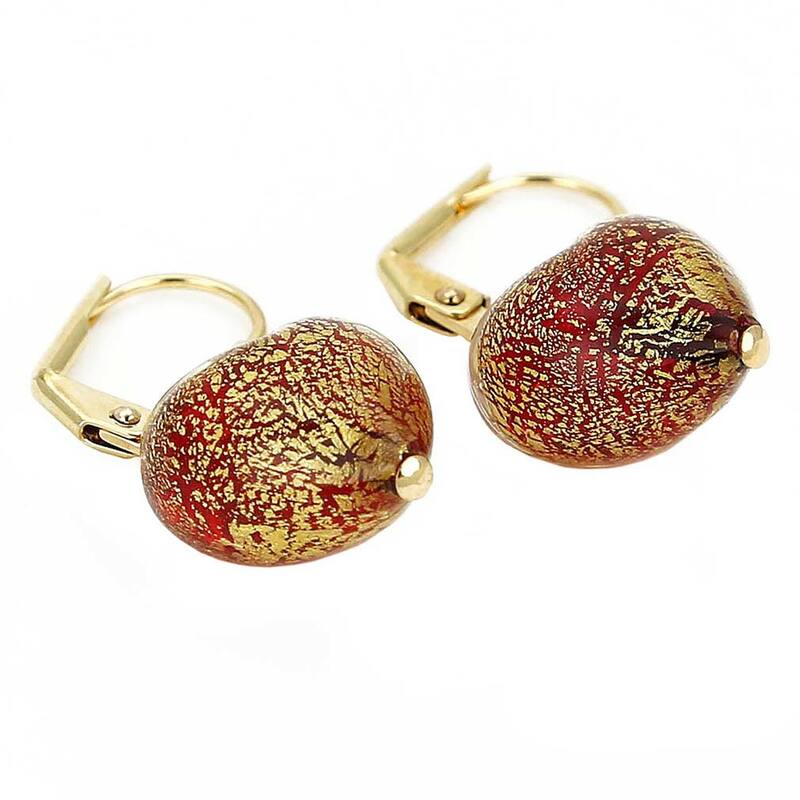 So feminine and trendy, these Murano earrings are for those who value classic Italian style and unique Venetian heritage. 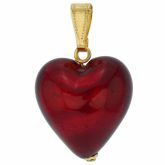 The design is simple yet rich with elegant ruby red Murano Glass hearts accentuated with 24K gold foil on gold-filled lever-style hooks for beautiful look and secure comfortable fit. 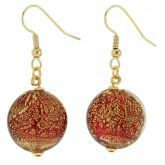 These gorgeous Venetian earrings made in the ancient traditions by skilled Murano Glass masters will magically transport you to the splendor and opulence of Venice. 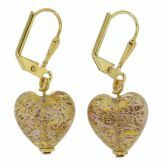 The heart on the earring measures 1/2 x 1/2 inch. The earrings come with an attractive velvet pouch and the certificate of authenticity. 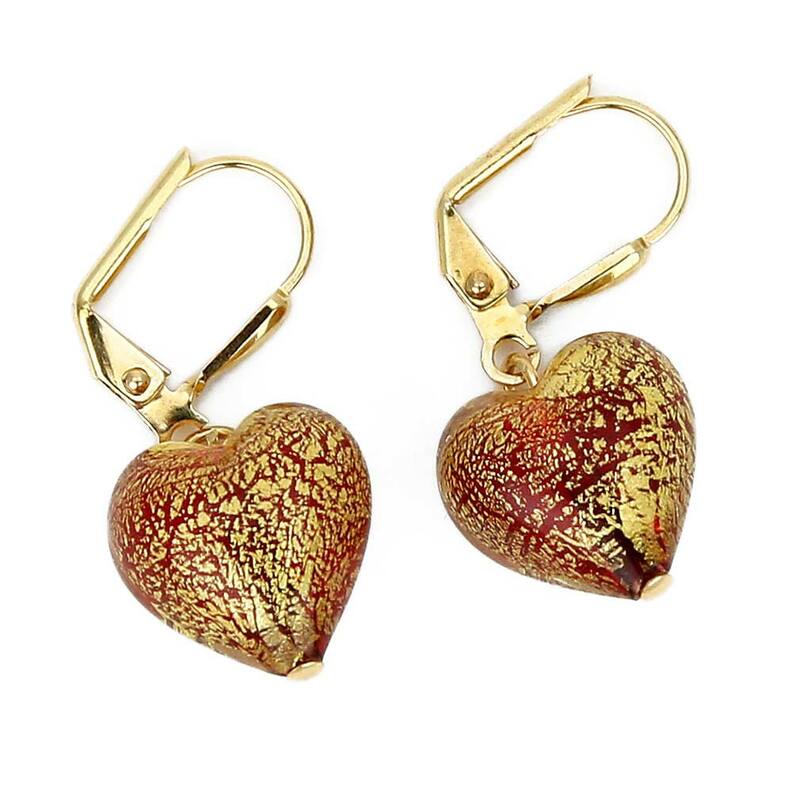 These earrings are a part of Ca D'Oro collection. 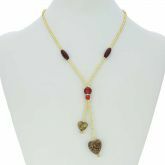 To see the whole collection, please click here. I love them! I lost a earring that matched a necklace my husband bought me and have been looking for over a year to find a matching one. I am very pleased, exactly what I wanted. I lost the original earring without lever back a few years ago, and have wanted a replacement. To my delight I was able to find the same earring. The ultimate symbol of status and power, gold was always held in high regard in Venice. 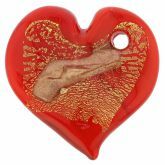 Once Murano Glass artisans learned how to infuse gold into their creations, their fame spread far beyond Venice. 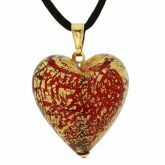 The captivating mix of 24K gold with transparent or colorful blown glass has been the secret of Venetian glass masters for centuries, the magic behind their artworks, which exude soft golden glow and sparkle gently in the light. 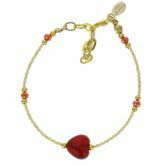 More recently Murano artisans have been creating jewelry from Murano Glass beads lined with gold leaf. 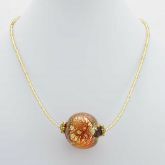 To create each bead the master wraps a very thin layer of 24K gold foil around the glass base under a flame, and then adds a layer of clear or colored glass on top. 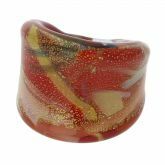 The gold-lined Murano Glass bead is then put into a special annealing camera, after which it is ready to become a pendant, be strung onto a necklace or bracelet, or used to create other jewelry. 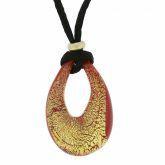 Enjoy your gold-infused Murano Glass jewelry, knowing that every bead was handcrafted with skill and utmost care in the famous glass workshops of Murano, Italy.